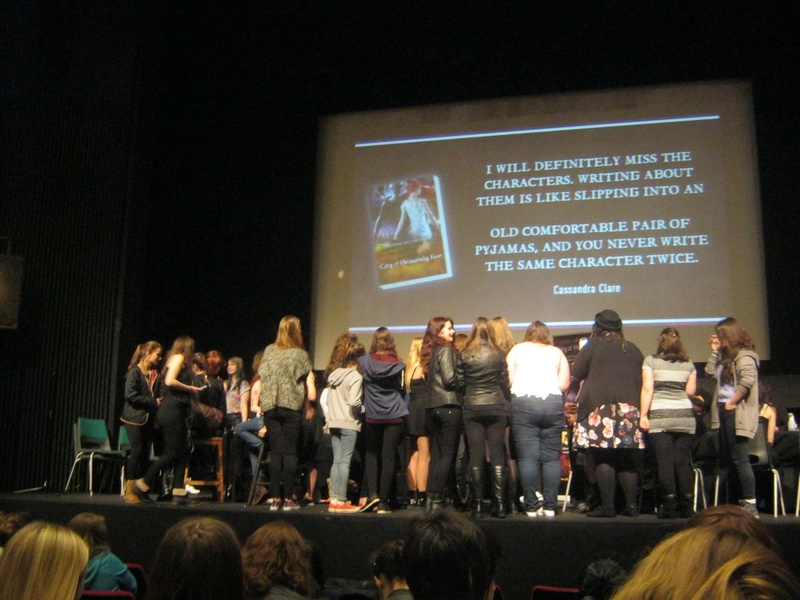 On Tuesday I went to the City of Heavenly Fire launch party held at the Bloomsbury Theatre in London. 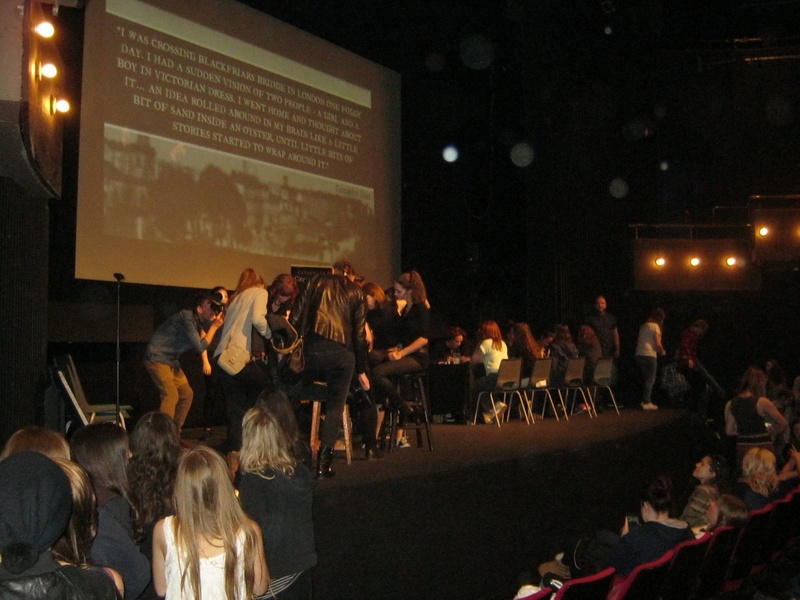 Fans gathered to celebrate the release of the last book in the Mortal Instruments Series as well as receive a copy of the book before anyone else in the UK. 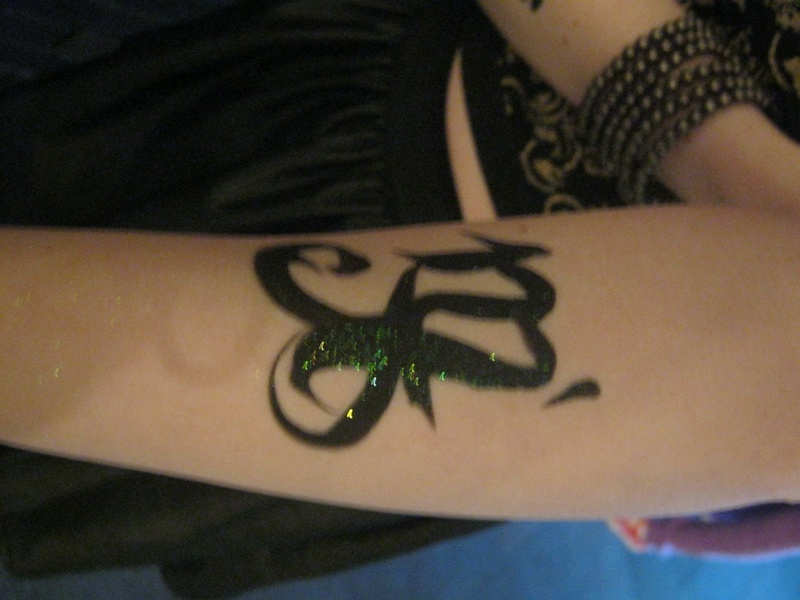 The first hour was spent mingling with other shadowhunters while also having the opportunity to get rune nail and body art. Unfortunately, due to time, we weren’t able to get our nails done, however, we did get some awesome runes. I’m sure Magnus would heartily approve of the glitter. On stage they also had a couple of very cute Shadowhunters who you were able to take photos with. Paul from Walker Books was also keeping fans entertained, asking questions and reading tweets, (and making us all jealous with the copy of CoHF he was walking around with). At around 2pm fans were seated for a very exciting message from Cassie, she thanked us all for coming, encouraged us to keep tweeting so she could keep up with all the fun, and finally, shared an exclusive snippet from CoHF that caused many gasps and worried faces. During the message Cassie announced that we would then be watching a screening of the City of Bones movie and she wanted us to get involved. We howled for Luke, cheered for Team Good, booed Valentine, and most of all, screamed for our ships. It was such a great experience watching the movie with all the fans and emotions were high. When the movie ended it was sadly time for the event to end, however, this meant it was the moment we had all been waiting for- when we finally got our hands on City of Heavenly Fire! 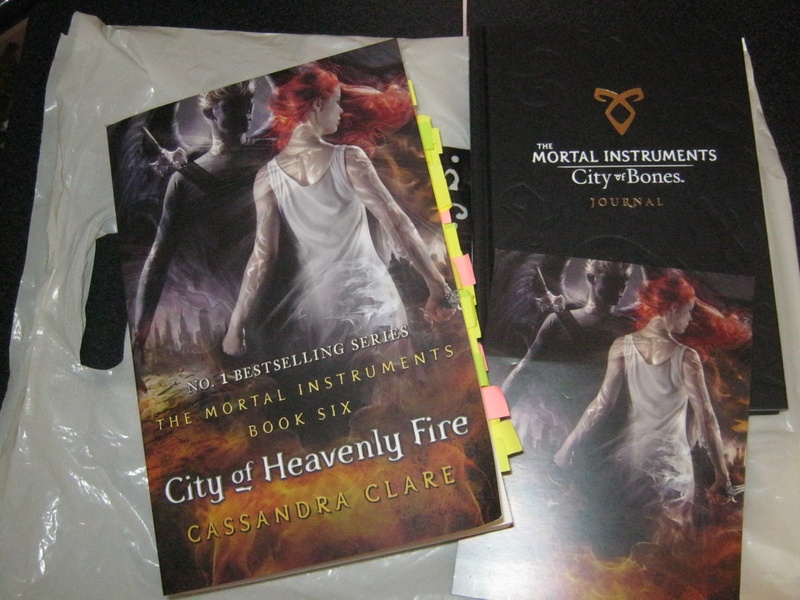 Fans received a goodie bag filled with a copy of the book, an exclusive City of Heavenly Fire postcard, and a City of Bones movie-tie in journal. I want to personally say a huge thank you to Walker Books for putting on the event, it was a lovely day and an amazing way to celebrate the end of a series that has meant so much to us all. You can see more ‘shadowhunter selfies’ by checking out the #tmiparty hashtag on twitter that trended not only in the UK, but worldwide! Thank you for this great recap, Donna! 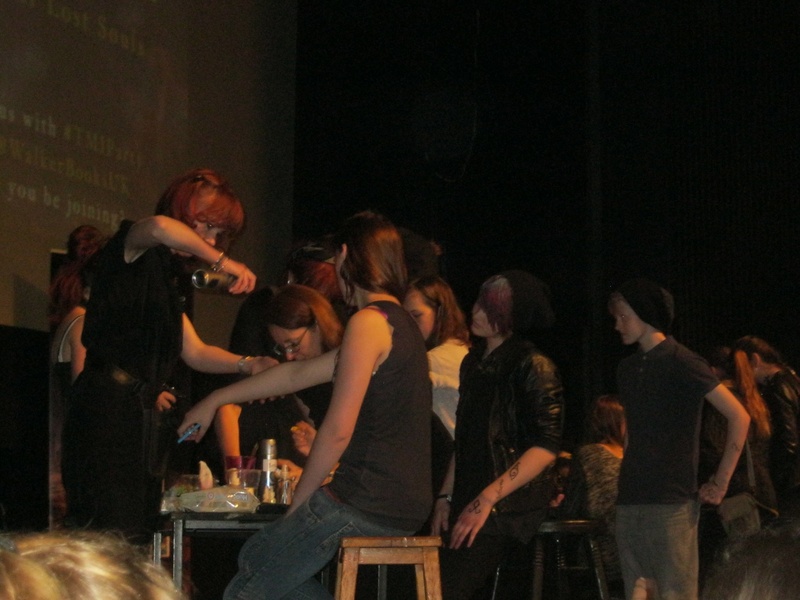 It looks like the UK Shadowhunters had a lot of fun. Cassandra Clare will start her UK tour on June 3 and finish it in London on June 7. I’ll be attending the London event so come and say hi if you see me. City of Heavenly Fire is now available.